2012's 'The Dark Knight Rises' is already shaping up to be the years most anticipated blockbusters, but in true Christopher Nolan style, details of the film are being kept tightly under wraps. 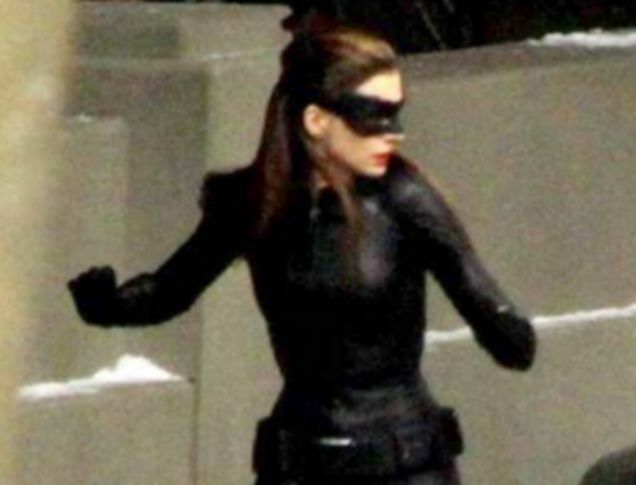 So, for a picture of Anne Hathaway in full Catwoman clobber to be leaked on to the internet is very exciting indeed. As you can see this catwoman has taken on a much less 'obvious' tone, as seen in 'Batman Returns' and Halle Berry's abortion of a film 'Catwoman'. Still, shame about the absence of the trademark cat ears. In honour of this pic, my next two reviews will cover the first two installments of Nolan's Bat-trilogy (yes, sadly there will be no fourth).